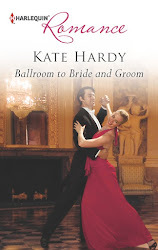 Kate Hardy infuses her wonderful romances with so much heart, sensitivity and emotion that readers cannot help but be held in thrall from the very first page to the last and The Doctor’s Lost and Found Bride is certainly no exception! A poignant and heart-wrenching tear jerker that’s tender, profound and intense, The Doctor’s Lost and Found Bride is emotional storytelling at its finest and readers shall certainly not want to miss adding this first class tale of second chances and painful choices to their keeper shelf – next to Kate Hardy’s other irresistible and unforgettable stories! 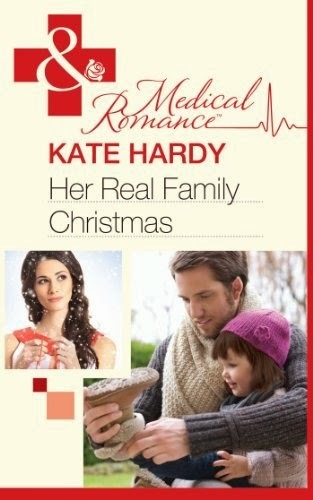 Believable, passionate and wonderfully romantic, The Doctor’s Lost and Found Bride is the latest brilliant book from the simply outstanding pen of Kate Hardy! Thank you, Julie Bonello, for making my day. Yesterday – well, I was late for guitar and in bimbo mode because I forgot my book and my footstool. Duh! Jim just cracked up and gave me a gentle lesson rather than a hard time; he wrote stuff down and got me to sight-read. Actually, we had a Small Faces fest, and it was great fun. (I must confess, though, that I prefer Lou Gramm’s version of ‘Tin Soldier’.) And the afternoon was as I expected; let’s just say that the Maltesers bunny did its job, and that was 157 calories of very hard work. That, and thinking that in exactly a week's time I will be wandering round narrow calle, having a wonderful time. A fab review for The Doctor's Lost and Found Bride - thoroughly deserved. A brilliant book - I loved every word! So glad the Maltesers bunny did its job. They should be on prescription.